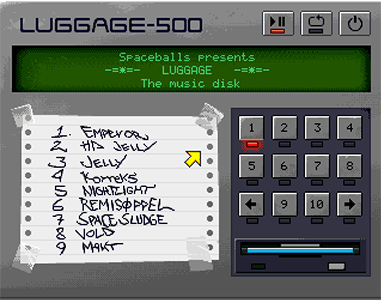 I spent a little time in December '18, working on the interface for "Luggage", an a500 music disk featuring 9 lug00ber mods. It's been a long time since I did any OCS/ECS graphics, so it was an interesting challenge. 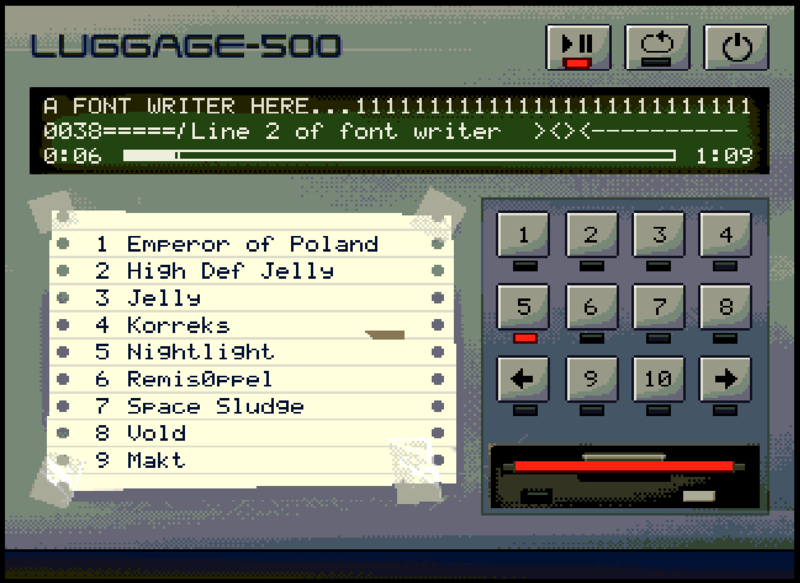 Lug00ber, Slummy and myself discussed ideas for the UI, and ended up basing it off an AKAI S900 sampler from the 90s, since this hardware was one of the big influences on lug00bers music, and held a lot of nice nostalgia. I had recently been messing around with Dan Fessler's method for producing pixel graphics on the C64, and wanted to try this out for Amiga OCS as well. It's a nice and simple workflow, where you can quickly knock out some relatively finished previews, and where it's also really easy to iterate. 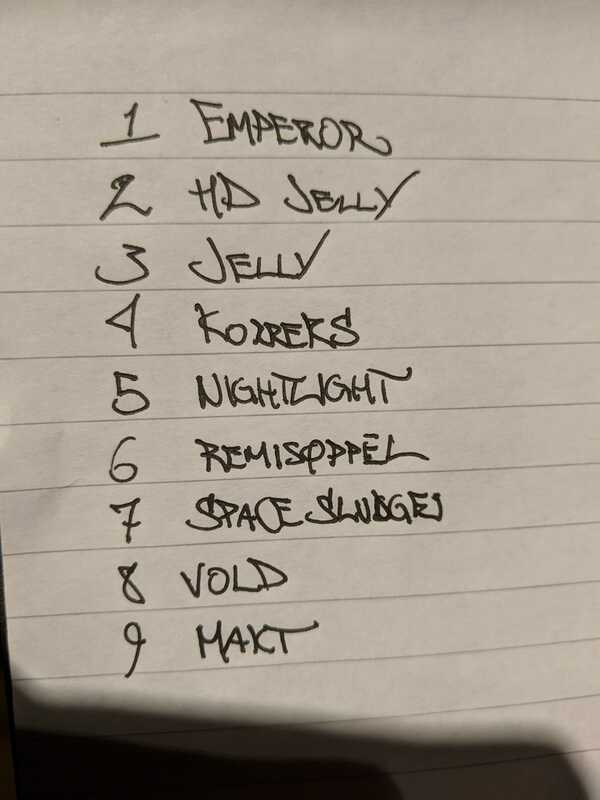 I must say, I was also thoroughly impressed with how great it was to collaborate with both Slummy and Lug00ber.. it was super easy to go through iterations and agree on design decisions, and everybody would just "run with it", fixing whatever needed fixing. This is what it looks like in a more clean version. 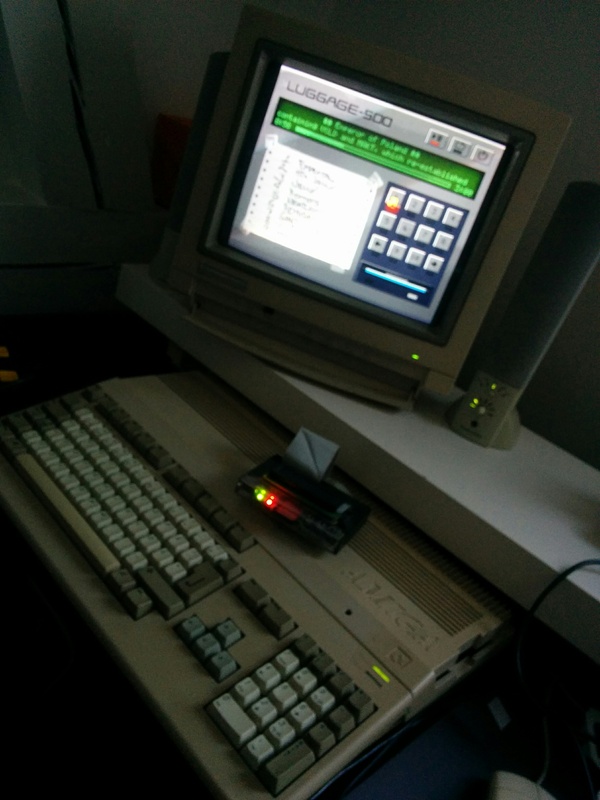 It uses 26 colours + 3 for the cursor.